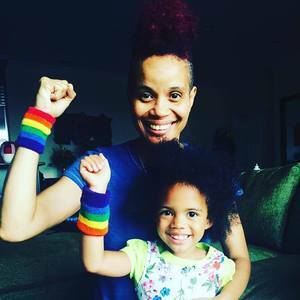 Along with her daughter, she started a series of “Living Room Protests” on YouTube addressing social issues of the day. 2. A staffperson from COLAGE will be there to runprogramming for kids, tweens and teens from 7 to 18 years old. They run the popular programming at Family Week in Provincetown. 3. Workshops on everything from Queer Parenting 101 to Connecting with Your Kids toHow to be a Trans Ally to Social Justice and the Family. See the full list. 4. Info for prospective parents on your journey to parenthood, wherever you are in the process. Experts and professionals also will be on hand to talk about babymaking and adoption options. 5. The Treat Yourself space will be an option for adults again this year, with an added bonus of Yogibo bean bags for relaxing. 6. Mealtime this year will be in the USciences dining hall and is an all-you-can-eat brunch with options for vegan and gluten-free diets. This is included in the price of registration. 7. The event is very affordable, especially if you sign up by October 1 for our early registration fee. Adults who are PFP members are $20 each. Non-members are just $30. After Oct. 1, it’s $30/adult for PFP members and $40 for non-members. All kids 18 and under are free. Child care and brunch are included. Register now at this link and please help us spread the word by sharing this blog post.